Buy New Zealand made. 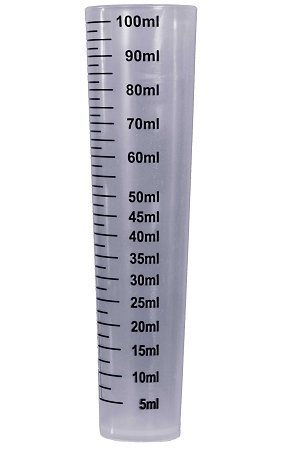 These premium quality plastic measuring cylinders are made in New Zealand to the highest standards. Ibic measuring cylinders, the Pro-Cylinder, are a very popular product for measuring small, accurate amounts of product. Manufactured from food grade polypropylene they are highly chemical resistant and very robust. IBIC measuring cylinders have several features which mark them out as the unique; not to be confused with low cost domestic type measures.